20 to 50 more electables are ready to leave PML-N, either to contest the next election independently or on PTI’s ticket. With only a few months to the next general elections, politicians are fast jumping ships to maximise their chances of getting re-elected. These career politicians, or “electables”, are the evergreen lot who choose to associate with the political party likeliest to win, as opposed to aligning with a certain ideology. If their allegiances are so fickle, and if they jump ship at the slightest hint of turbulence, why do political parties accept these mercurial characters in their folds? The answer lies in the dynamics of electoral politics. In order to win, any candidate relies on the sum of their personal vote bank and the vote bank of the party that issued them the ticket. In some constituencies, mostly in urban areas, the bulk of this sum comes from the party vote bank. Asad Umar, for instance, won the NA-48 by-election in 2013 primarily because voters in the constituency sided with Pakistan Tehreek-e-Insaf (PTI). In other constituencies, particularly in parts of South Punjab, interior Sindh and Balochistan, some candidates are so influential that they win without the support of any political party. Makhdoom Khusro Bakhtiar, for example, won NA-194 in 2013 purely because of his personal vote bank, defeating candidates supported by the Pakistan Muslim League-Nawaz (PML-N), the Pakistan Peoples Party (PPP) and the PTI. Most constituencies, however, are somewhere in the middle of this spectrum, where winning an election needs the resources, campaign machinery and election-day efficiency of the electable, as well as the political party’s vote bank. The significant role played by electables in Punjab’s politics dates back to the 1920’s when the Unionist Party was created, which was a group of influential landlords and pirs. In 1937, the Unionists won 95 provincial legislative assembly seats, while the All India Muslim League (AIML) could win only one seat. The following decade saw an exodus of scions of powerful political families to the Muslim League, with names like Mumtaz Daultana and Feroze Khan Noon joining the party. In the fateful February 1946 polls, AIML won 73 seats, whilst the Unionists only managed to get 20. Subsequent generations of these families sided with Ayub Khan and Zulfikar Ali Bhutto. The February 1985 elections, held on a non-party basis, obviated the need for electables to woo a political party. Wealthy landlords and industrialists, on the basis of their personal power and influence, got elected from urban and rural constituencies. Once in the assemblies, they created yet another iteration of the Muslim League. In 2002, they deserted their then-leader Nawaz Sharif, and created the Pakistan Muslim League-QuaideAzam (PML-Q), since winning the election required support of the powerful military establishment. The marriage of convenience between political parties and electables is perhaps best exemplified by how these same electables migrated back to Nawaz’s PML-N a decade later, where they were gleefully accepted back. Now, wherever dictated by the harsh realities of electoral politics, the same lot is unabashedly switching to PTI. For five years, Imran Khan’s PTI was successfully able to portray itself as the most effective opposition party; on the floor of the house, in the courts and on the streets, they have been fighting the PML-N tooth and nail. While PTI stole the limelight, PPP in Punjab has slowly faded into oblivion. In the last two major by-elections – NA-120 Lahore and NA-154 Lodhran – PPP’s candidates bagged 1,414 and 3,175 votes respectively, which was less than 2% of the total votes polled. It is therefore no surprise that stalwarts such as Dr Firdous Ashiq Awan, Nazar Gondal and Nadeem Afzal Chan have defected to PTI. Apart from a handful of constituencies, PPP’s future in Punjab appears even bleaker than their recent past, and PTI is expected to bag the lion’s share of the anti-PML-N vote. On the other hand, since July 2017, Nawaz has been in the eye of a politico-legal storm. The apex court initially disqualified him as the prime minister, then as the party chief, and most recently, closed the door on him to Parliamentary politics for life. Regular National Accountability Bureau (NAB) hearings and an impending conviction have taken the wind out of PML-N’s sails. No surprise then that six MNA’s who had been on the treasury benches for almost five years, suddenly revolted to create the Janoobi Punjab Suba Mahaz (JPSM), and announced to contest the next elections under the same banner. 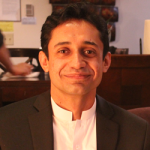 Even before the interim setup has taken over, several sitting MNA’s such as Raza Hayat Hiraj, Mian Tariq Mehmood, Nisar Jutt and Chaudhary Bilal Virk have left the PML-N for PTI. If media reports are to be believed, once the assemblies complete their constitutional term, 20 to 50 more electables are ready to leave the PML-N, either to contest the next elections independently or on PTI’s ticket. While there have been no major shifts in the political landscape in interior Sindh so far, the situation in Karachi has been tumultuous. After Altaf Hussain’s infamous August 22, 2016 speech, the Muttahida Qaumi Movement-Pakistan (MQM-P) found itself rudderless, and in a short span of time was split further into MQM-Bahadurabad and MQM-PIB. This, coupled with Mustafa Kamal’s clean image and Anis Kaimkhani’s organisational expertise, has led to a number of MQM-P workers and leaders joining the Pak Sarzameen Party (PSP). With the likes of Anis Advocate, Raza Haroon, Shabbir Kaimkhani and Dr Sagheer Ahmed in PSP, for the first time in three decades, urban Sindh’s mandate may go to a party other than the MQM. In Punjab, apart from a handful of constituencies, no political party has the vote bank to win National Assembly seats without the support of electables. With powerful constituency politicians deserting PML-N and PPP, unlike 2013, no single political party will win a landslide victory in the province that remains the key battleground. Similarly, in Karachi, with seasoned workers and parliamentarians leaving MQM-P for PSP, the latter is expected to play a key role in the post-election scenario. Thus far, the PSP has demonstrated political leanings very different from those of MQM-P, and is less likely to enter into an alliance with PML-N or PPP. 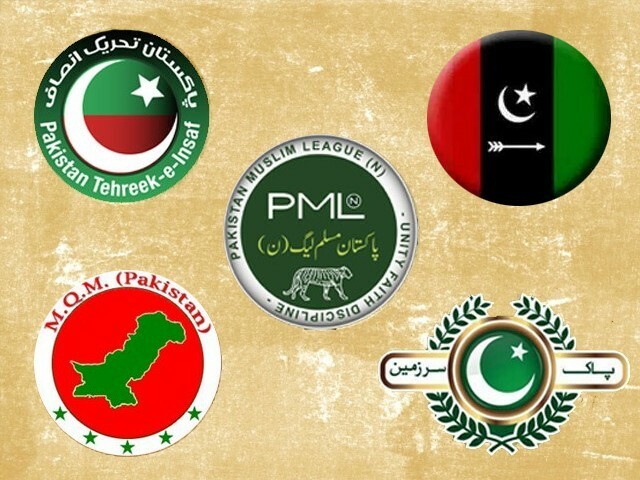 Consequently, these shifting loyalties will likely lead to a hung Parliament in the upcoming elections, and therefore, it will be independent candidates from south Punjab and the Federally Administered Tribal Areas (FATA), as well as political parties from smaller provinces, who will determine who forms the next government.